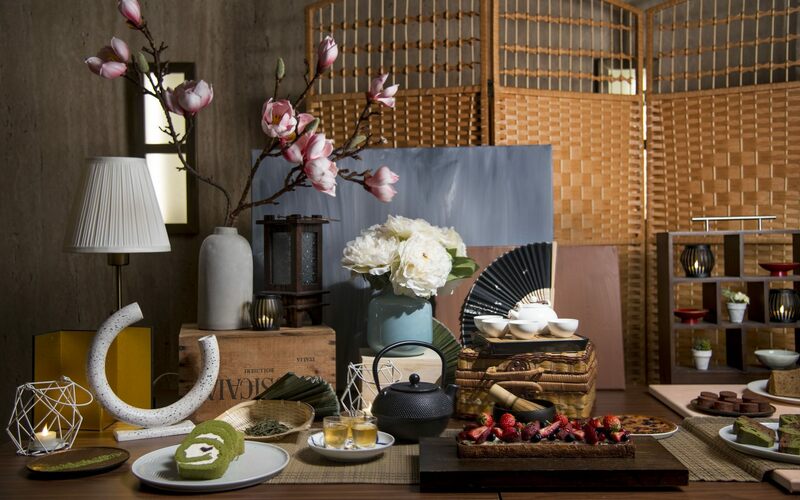 2019 is off to a sweet start thanks to a new rendition of the popular matcha dessert buffet, Oh! Matcha Dessert Buffet, at Lewin Terrace. 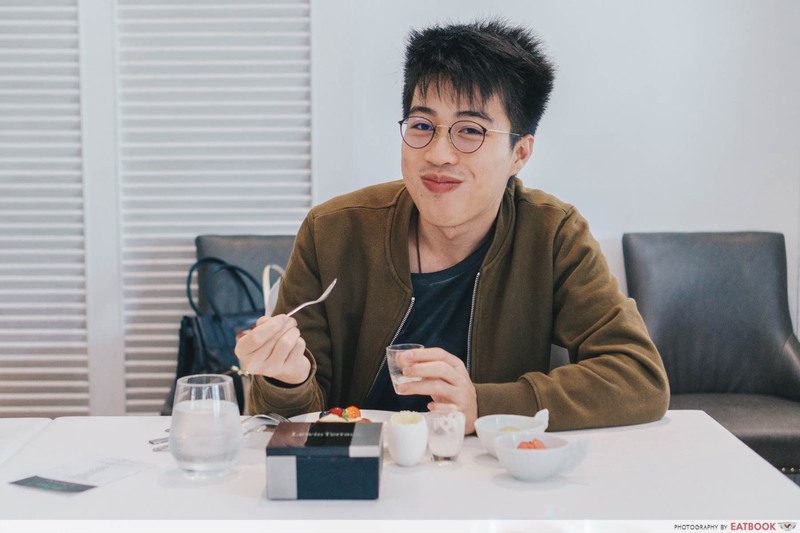 Returning this time with a focus on strawberries, the buffet will run from 9 January to 29 March 2019. You might want to come early though, as it’s only available during lunch hours every Wednesday to Friday. The dessert buffet costs $38++ and features 18 different types of sweets and pastries. This includes favourites from previous editions such as Uji Matcha Madeleine, and new strawberry-based additions such as Ichigo Chiffon. Chitose strawberries are exclusively used in the desserts here. 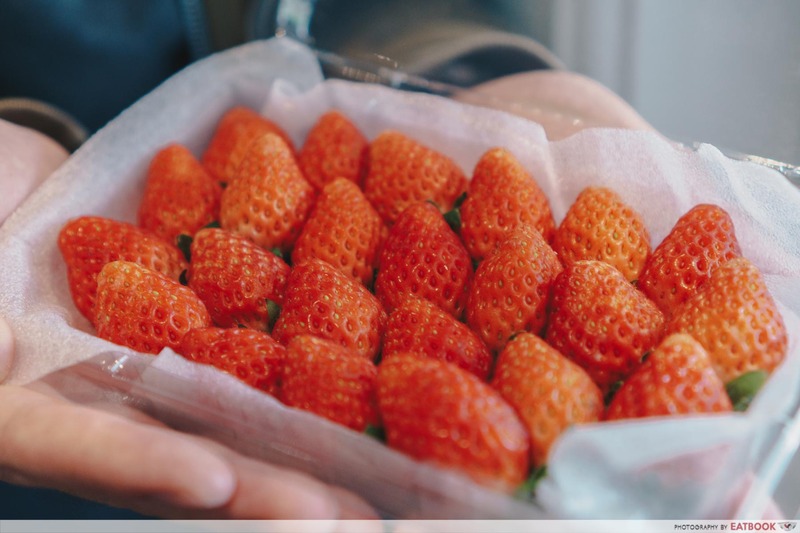 Looking much smaller than usual strawberries, these sweet and luscious Hokkaido berries have a delicate fruitiness to it, without giving an overly tart taste. 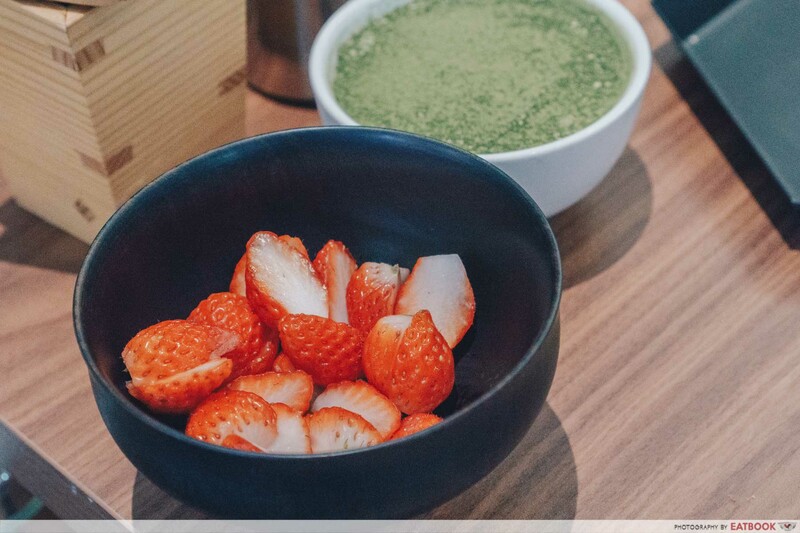 To enjoy its natural sweetness, you can dip an unlimited supply of these strawberries in condensed milk, matcha cream, matcha syrup, or matcha powder. 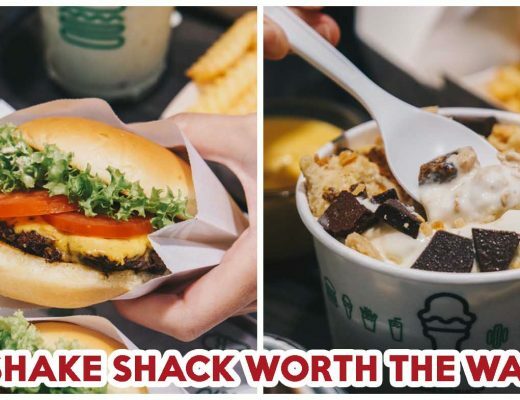 A feast for matcha lovers indeed. I particularly enjoyed mixing a huge dollop of matcha cream with the strawberries and munching on them by the spoonful. 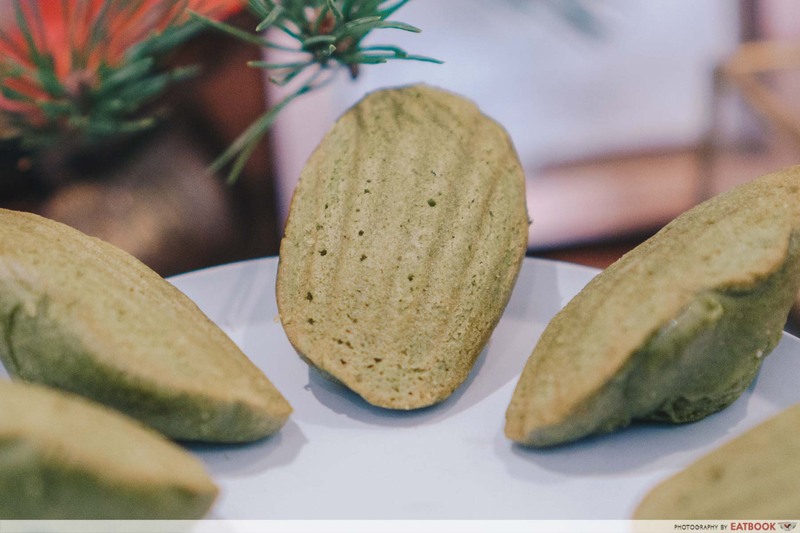 The Uji Matcha Madeleine had just the right amount of matcha added to it, giving a nice rich aroma to the sugary madeleines. However, I found the texture to be slightly too crumbly, making it difficult to enjoy the pastry as it crumbled all over the plate. Strawberries take centre stage at this buffet, giving an intense boost of flavour to the Fresh Berries Tarts. 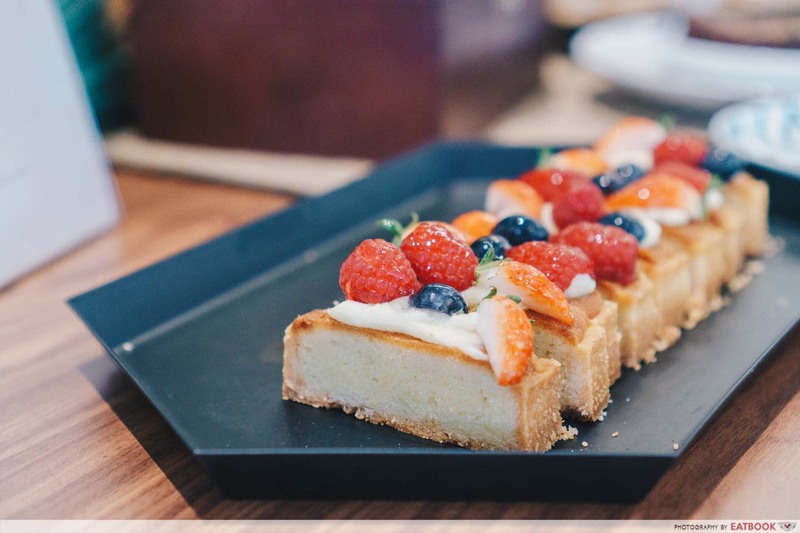 The house-made pastry cream was whipped to the right consistency, combining beautifully with the fruits in a classic mix of berries and cream. 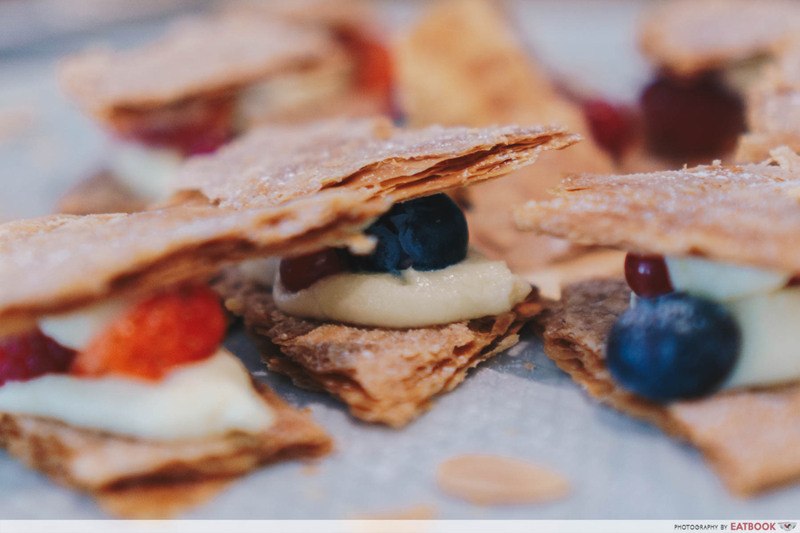 The Ichigo Mille Feuille was my favourite here, with the same Chitose strawberries and blueberries sandwiched between thin layers of crispy puff pastry and fresh cream. The crunchy puff pastry and plump strawberries were nice to chew on and, along with the fresh cream, gave an exciting mix of textures. The desserts are served in an unpretentious manner to let the natural sweetness of the strawberries shine through. 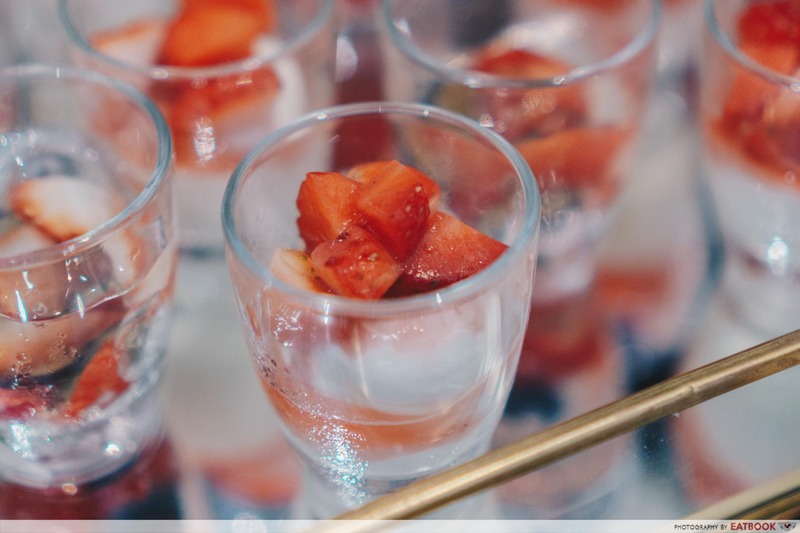 The Ichigo Tiramisu simply combines diced strawberries with mascarpone cheese in a cute little shot glass. My dining partner and I polished it off in seconds and immediately reached out for more. While I felt the pastries here could have been prepared better, I had no qualms about the desserts, as they all proved to be quite impressive. 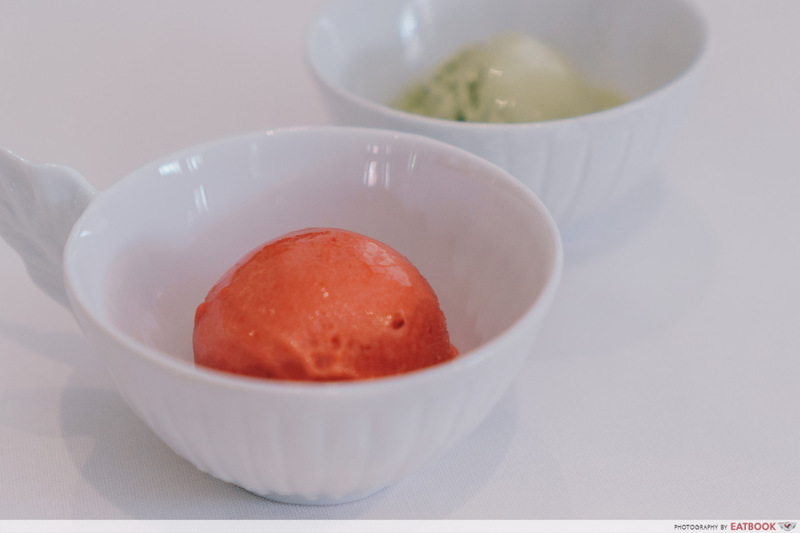 You can also get a scoop of matcha and strawberry ice-cream. Each additional serving costs another $10++. The strawberry was a little too sour for my liking, tasting more like a sorbet. For those who are used to Häagen-Daz’s sweet and creamy strawberry ice-cream, this might be slightly too acidic for them. Made from matcha from Matchaya, the green tea ice-cream fared better. This sweet and creamy concoction had a mildly bitter aftertaste, which gave a nice balanced flavour to the ice-cream. Diners can also look forward to the dessert box, which comes with a slice of Charcoal Matcha Roll Cake Slice and an Ichigo Daifuku. 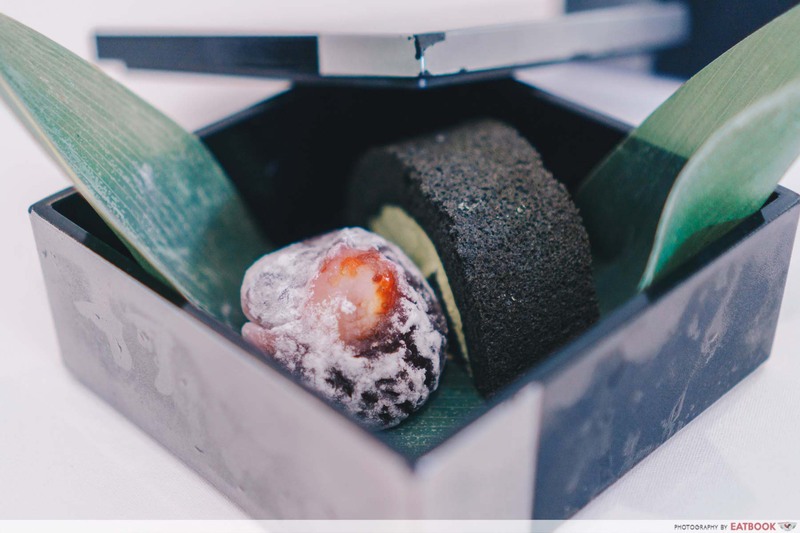 Artfully presented in a sleek black box, the latter is a mochi stuffed with red bean paste and strawberries, giving a beautiful combination of both flavour and texture. Similar to the ice-cream, each diner will only get one serving of this. Chocolate lovers are not forgotten, thanks to a very interesting Pound Cake. 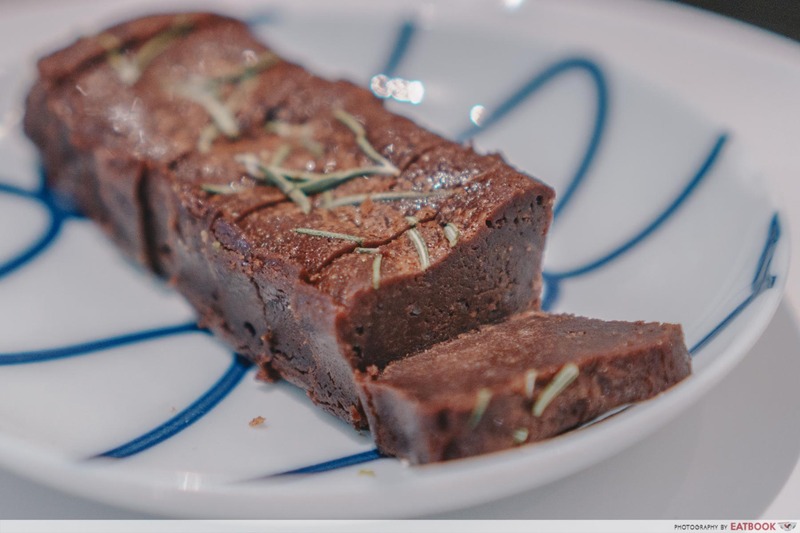 Tasting more like a chocolate gâteau with rich and moist chocolate inside, sage is sprinkled onto it to give a funky herbal aroma. I can’t agree with the addition of sage though, so I dusted them off and enjoyed a good quality cake. 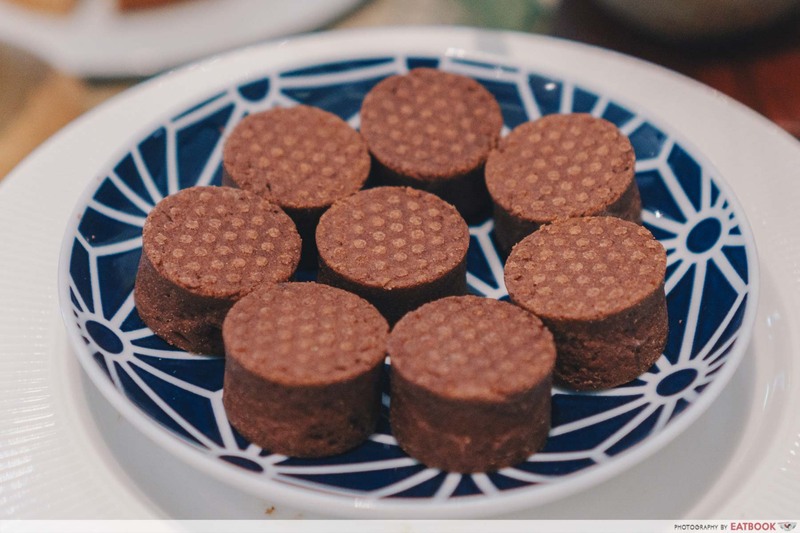 The Chocolate Tart comes in cute little medallions that you can pop in your mouth. Inside, you’ll find a rich and delicious chocolate cream that is packed with loads of chocolatey flavours. 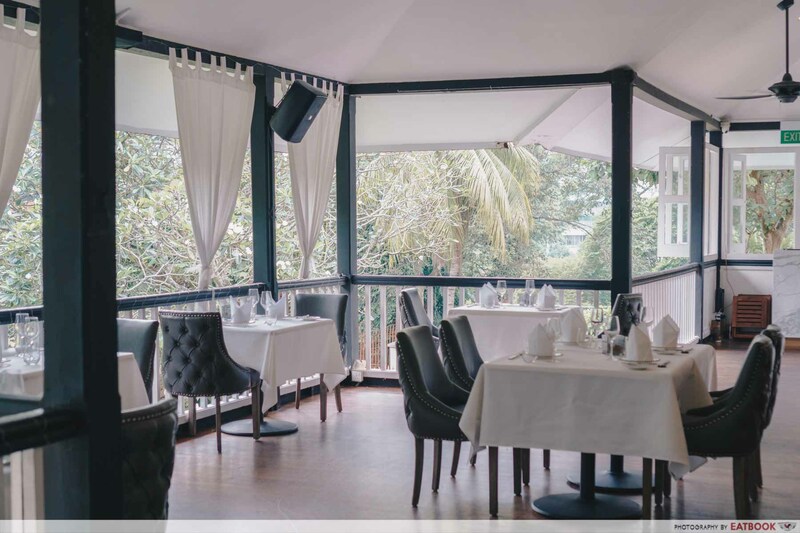 For those who want a more complete meal, there’s also a three-course set lunch ($58++) that includes the dessert buffet. 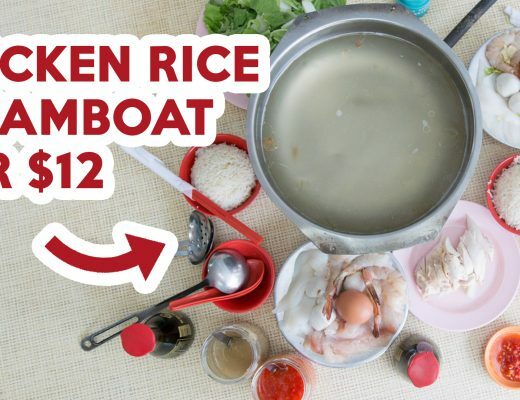 Mixing Japanese ingredients with French techniques, the food here is a combination of East meets West. 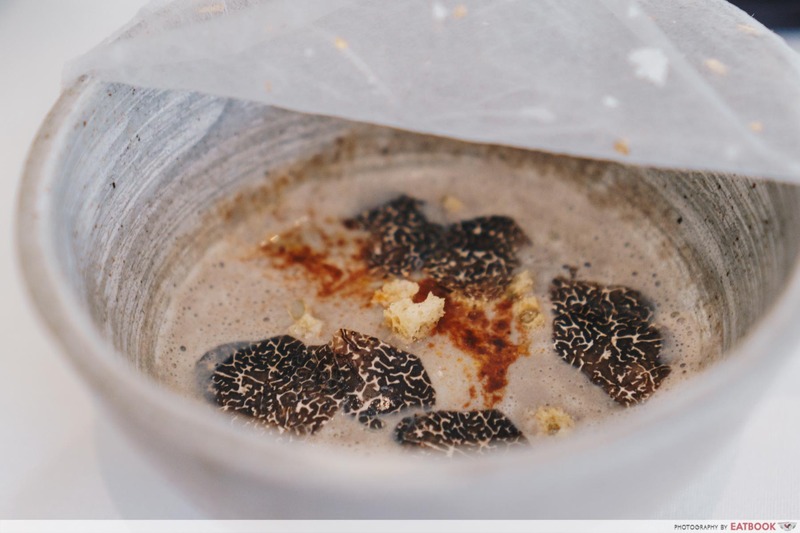 The Truffle Mushroom Soup with Onsen Egg was filled with loads of deep mushroom flavours, but I particularly liked the clever addition of onsen egg, which gave a subtle richness to everything. The Signature Cod Saikyoyaki combines dashi broth with the classic French technique of finishing their sauces and soups with butter. 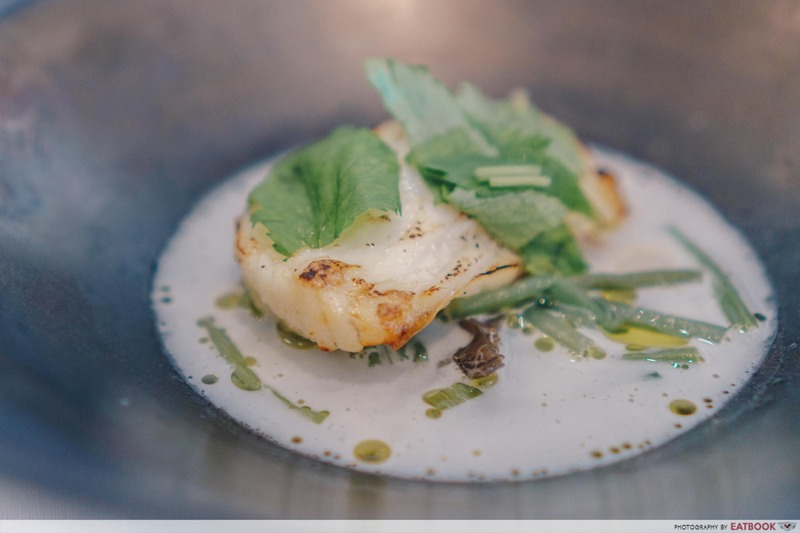 The cod was seared just right, with its rich and buttery texture going well with the sauce. 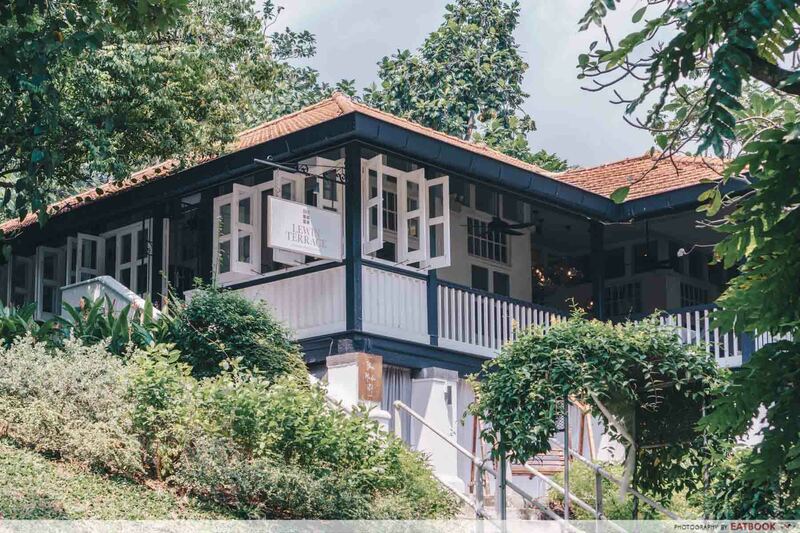 Located at the tranquil Fort Canning Park, this cosy restaurant is an ideal place if you’re looking to take someone special out for a quiet and private occasion. The service was also attentive, with loads of care taken to ensure that the plates were cleared fast. You might have to climb a few flights of stairs before arriving here. Just be sure to let your dining companion know about this. For those who are sick and tired of the usual hotel or sushi buffets, this buffet is just for you. My only gripe is that it’s only available during weekday lunches. Still, if you’re able to afford long business lunches or just happen to be free on a weekday, I’d recommend checking out this refreshing novel buffet spread. This was a media tasting at Lewin Terrace.